Facebook is the most popular, diverse, and used social network in the world. It's time to use it to market your e-book. Learn how to get started in this basic guide to marketing your e-book on Facebook. In the marathon to promote your e-book, is Facebook a tool you intend to use? Before you answer, and before we discuss five ways to market your e-book on Facebook, let’s talk fact. 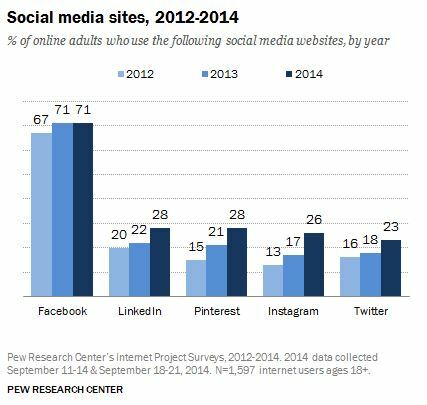 According to Mashable, Facebook is the most popular social network for all ages. Unlike other social media networks, it knows no generation limit. Millions of potential readers frequent Facebook every day, and this trend is still active. As an independent author, you wear the hat of a marketer. From promoting your book to the masses to engaging readers so as to elicit a specific reaction, you are in the driver’s seat. Do you want book reviews posted on the marketplace or your website? It’s your job to engage readers and encourage them to write reviews. A Facebook page can be created for anything, and it is simple to create. Reference Facebook’s instructions for creating a page, and there are some related articles to guide you through setup and administration. You can create an official fan page under your author name where all of your work is displayed. Then, you can post updates about all of your writing projects. You can also create pages for each of your individual e-books. Relevancy: Is your e-book relevant to the group discussion? Relevancy is the first step to audience appeal, and while your actual posts and book will need to capture the attention of the audience, an irrelevant post will be useless. Group Rules: Some groups do not like promotional posts. Other groups provide specific rules for how promotional posts should be presented. Before posting, check for any and all rules, policies, or stipulations. Follow them as if they are law. Breaking them for the sake of promoting your book could quickly result in a bad reputation. You can also create your own fan group for all of your work. It can be a great way to connect with fans, promote your upcoming and released work, and encourage engagement. It’s time to talk paid advertising! Facebook is one of the smartest networks to advertise on because of its reach, and honestly, the pricing is not bad. Using a paid for post boost, you can take a specific post on your Facebook page and boost it to a precise audience. Facebook allows you to reach a broad or highly honed audience. You can set how long the boost runs and how much you’re willing to spend on a daily and overall basis. Paid for boosts are excellent for getting people to see and respond to a post. For example, we recently boosted our post promoting Anita Lovett’s LinkedIn feature, You Get What You Pay For. For $20 USD, we reached 13,144 Facebook users and received 27 logged reactions. During the week the boost ran, we saw a 35% increase in unique website traffic, and our company name was searched 4x more than any other week on record. A paid for boost can be a means of raising awareness. It can get people to click on any included link, but most importantly, it can make people curious. Paid for page promotion is basically the same as a post boost. Instead of promoting a specific post, it promotes the page itself. The goal is to get more likes. For about $40 USD, you can run a lengthy campaign, spending $5 to $10 per day. You have full control over the target audience. We’ve run this type of promotion twice for our page and seen an influx of over 75 likes, all from active Facebook users with interests and professions corresponding to our target audience preferences. When you create a page, you can include a link to your website. We’ve already discussed the importance of every indie author having a website. Create a corresponding Facebook page, and you will have a powerful marketing tool for website promotion. The goal of paid website promotion is clicks. The premise is to get a target audience interested in your website. This type of promo works exceptionally well if you run an active blog on your website; it can encourage new, dedicated subscribers. Armed with these five ways to market your e-book on Facebook, you can jump into basic marketing and promotion. In a coming blog, we’ll talk about how to get the most out of Facebook promotions by planning and scheduling social media content. I believe that Facebook filters posts, so that not everyone on Facebook gets to see your posts, whereas Google+ does not filter and you actually get more views per post. You’re right. Facebook pages are tough to promote without paid for advertising because the viewership is limited. Paid for boosts and promos can be very fruitful, more so than Google’s social media network in some respects due to their differences in nature. We’ll be digging into how to use both Google+ and Twitter in upcoming posts. Hello Anita, when I first started building my social media platforms, I created a Facebook author ‘page’ for my writing so as to separate it from my personal profile and friends. However, I gradually discovered that the Business Page is not the same as a Fan Page. It would seem I cannot easily gain followers nor join groups. I did look to see if I could transfer from ‘Business’ to ‘Fan’, but unfortunately not and sometimes I wonder if I should start again. It is a shame Facebook do not make the differences clearer. The path of least resistance would be to start again, but it is a pain. Facebook takes a bit of “decoding” at first, but it really is a powerful tool for self-promotion.